A TOTAL OF 218 third-party claims were made against Bus Éireann over incidents involving vehicles used for the School Transport Scheme between 2011 and 2017. Of those, five were claims from employees of the bus company. The School Transport Scheme brings children who reside in remote areas of the country to and from their nearest school. There is often high demand for the scheme, which is operated by Bus Éireann on behalf of the Department of Education and Skills. An annual analysis of Bus Éireann school claims – broken down by incident – provided to the Oireachtas Public Accounts Committee (PAC) shows that of the 218 claims from that period, 162 relate to damage of property while using the service. There were 30 claims in this category in 2011 and 2012, though there were just 14 of these claims in 2017. There were 16 claims of injury to a passenger from 2011 to 2016. There were no claims of this sort in 2017. There were 20 injury claims for non-passengers in that period, while there was one claim for damage to clothing made in 2013. Personal injury claims amount to 14 in that period, while there were just two vandalism or malicious injury claims made. Third party claims were at their highest in 2011, at 38, while in 2017 there were 24 claims. Breaking down the number of employee claims that made it to court, four were seen in the High Court. A direct settlement was made in one instance. Of the third-party claims, the majority were settled. There were 36 settlements in 2011, 33 in 2012, 36 in 2013, 31 in 2014 and 33 in 2015. There were 22 settlements in 2016, while in 2017 there were 24 settlements made. A small number went to the Personal Injuries Board during the six year period, while nine were heard in the High Court. Email “Over 200 claims made against Bus Éireann School Transport Scheme ”. 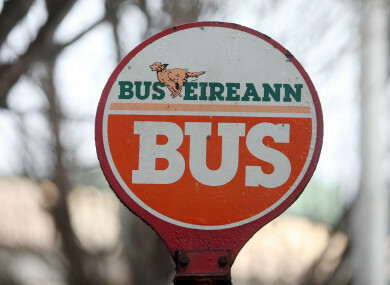 Feedback on “Over 200 claims made against Bus Éireann School Transport Scheme ”.